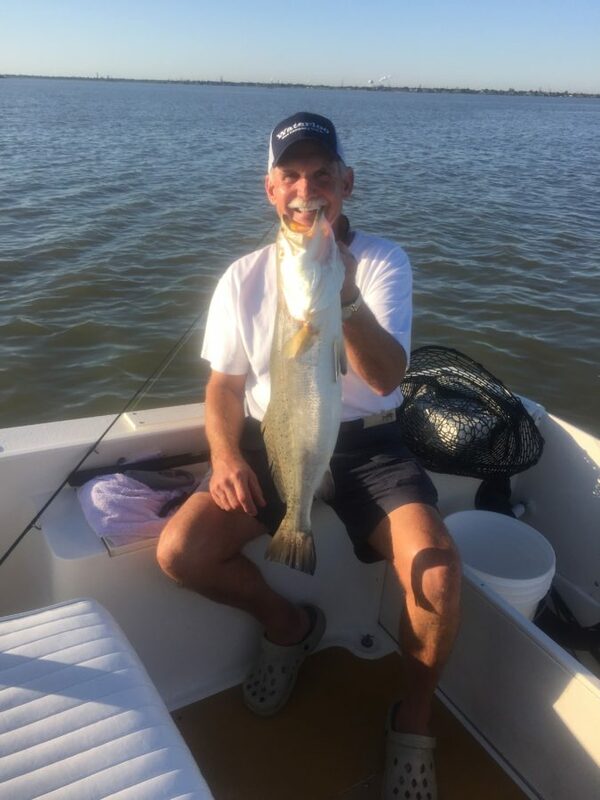 Captain Bob “Mangus” Drisgill is a guide out of Moses Lake fishing the Galveston Bay complex for over two decades now. 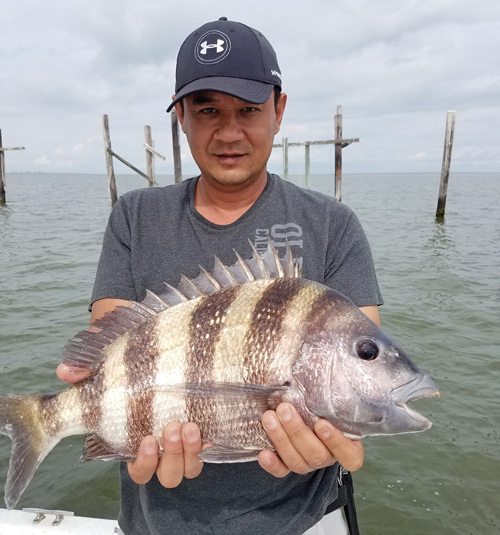 Bob has led myself and teammates to two consecutive first place wins at the Galveston Bay Foundation’s Ladies Casting for Conservation fishing tournament. Winning these tournaments with Bob was a great experience, but having the honor to see his passion for fishing is the best reward. Bob has a contagious attitude and every fish caught is a special moment. I was born in Baltimore, Md. Yup, I’m a yankee. I graduated high school in 1969. How long have you been fishing? When did you start your guide service? 25 years at least. I’ve had my guide service for 16 years, but been doing it full time for about 11 years. What kind of boat do you run? A 21’ Mako Center Console with a brand new 200 HP Evinrude motor. Do you remember your first fish? My dad was an electrician on the railroad for 40 years. There were some docks nearby, so when I was a kid I would fish there. My first fish was a big perch. Speckled trout. I do catch a lot of redfish and flounder, but my main target fish is speckled trout. Every time I go fishing is a special moment. When anyone gets on my boat, I want to see them catch a fish. I get so excited when I see customers catch fish. When that feeling stops, I’ll stop fishing. I love catching trout, can’t get enough of that funky stuff! If you could only have one soft plastic and one hard bait what would they be? 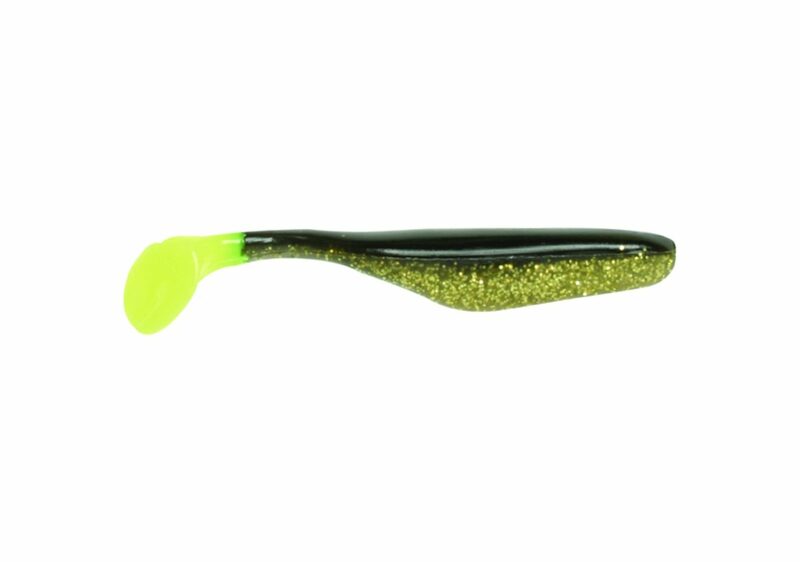 If I could only have one soft plastic it would be the Bass Assassin 4” Sea Shad in the color Texas Roach. It’s my favorite in off-colored water or clear water, it will catch fish. For a hard bait I would have to go with a good topwater in silver and black. What is the biggest mistake you see fisherman making? The biggest mistake I see is boaters not having respect for other boaters. There’s no etiquette anymore. Everybody’s got fish rage, it’s just like road rage out there. Fisherman also need to educate themselves on how to handle and release fish the proper way. People take photos of fish and put it back in the water, which is fine, but who knows if it’s going to live. They aren’t freshwater fish, these are saltwater fish. What are some things anglers should key in on during September and October to be successful fishing? September and October is a transition going from summer to fall. It’s like February to March in the spring time. I’d say key in on bird action, especially in October. Seagulls will start working early morning in the bay system, which will tell you where the trout are. Not as much big trout action in September or October, but should be able to find plenty of redfish. You’ll catch the occasional flounder until late November, when it starts getting colder outside. Capt. 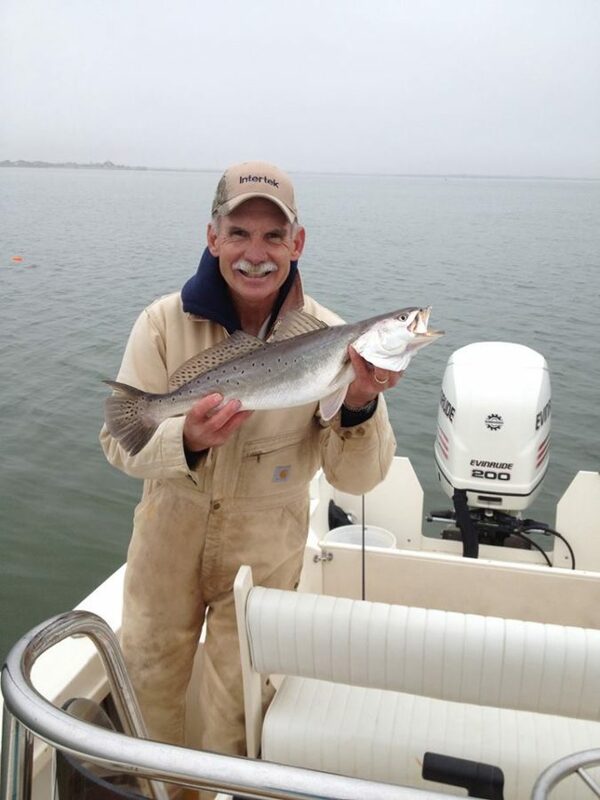 Bob Drisgill’s target fish is speckled trout. Do you have a favorite tide stage for fish? A good incoming tide with a light southeast breeze, which you rarely get, but that’s my favorite. I will fish either incoming or outgoing, but I like incoming the best. What is the biggest change you’ve seen in our area from when you first started fishing? There has been an explosion of the amount of people on the water. There’s nothing secret anymore with cell phones and social media, it wasn’t like that 15 years ago. Environmentally wise it’s changed, especially with the power plants over the years. They dumped a lot of stuff in the water that wasn’t supposed to be dumped. Is there anything you’d like to see changed in the regulations or conservation efforts? Well, people are pushing for this 5 fish limit for speckled trout. I don’t see a problem with keeping the 10 fish limit on the trout. The population of specks in Galveston Bay is plentiful. And as far as redfish goes, we have a 3 fish limit with 1 oversized that I think is a good deal. As far as conservation goes, I really appreciate what the Galveston Bay Foundation does to help our bay prosper. Also, if people stop throwing stuff like fishing line and other trash in the water, that will help out. It’s bad for our wildlife and can cause problems for boats. Everyone needs to be more conservative. If I’m not fishing you can find me in the poker room. I love to play poker. I have a passion for competition with myself and amongst others. That’s why I like fishing so much. Contact Capt. Bob Drisgill by phone at 409-682-9106 or go to www.mangus2charters.com.